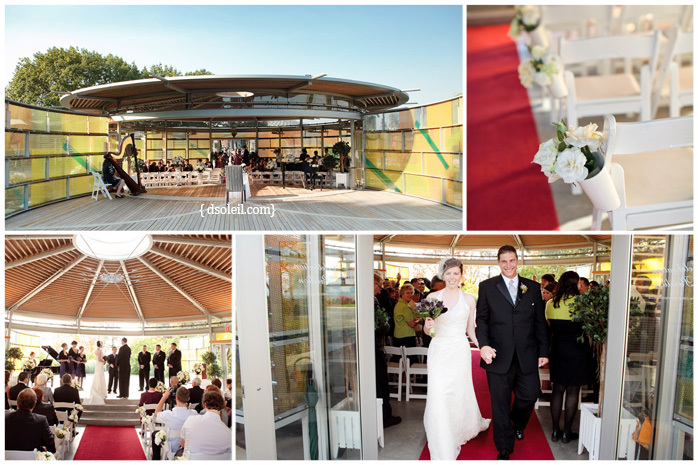 The Celebration Pavilion at Queen Elizabeth Park is a relatively new wedding venue in Vancouver, but it has already become one of the more popular locations in the city for couples looking for a ceremony venue. The venue sits atop the City of Vancouver’s highest point and overlooks the North Shore mountains and Burrard Inlet. Parking is plentiful, but ask your guests to bring a credit card or some extra change because most of the park is now pay parking during the spring and summer months. 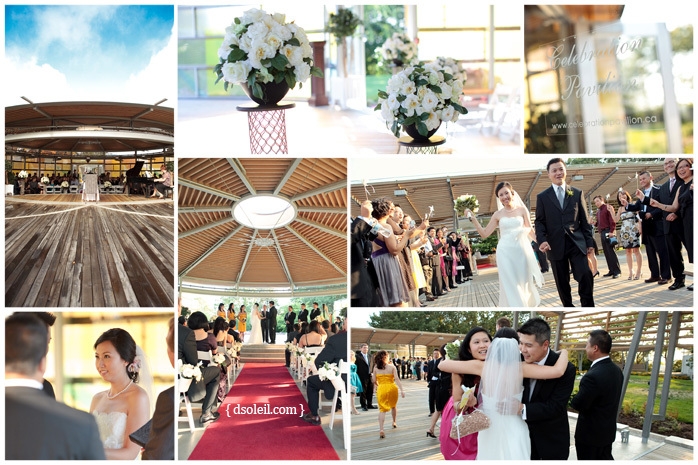 Celebration Pavilion is situated just above the famous sunken garden, a location that was once (and in some ways still is) a popular spot for couples portraits on the wedding day. I remember when I was growing up, almost every summer wedding I attended had a portrait session at the sunken garden, but nowadays, I find most couples seeking a more modern option to differentiate themselves from those old stiff traditional photos from the 1980s and 1990s. Seasons In the Park Restaurant is close-by the Pavilion and it’s not uncommon for the wedding reception to be held there after the ceremony. One of the best times of the year to have a wedding at Seasons Restaurant is the last week of July and early August when the fireworks (Celebration of Light) take place at English Bay. The fireworks are clearly visible from the large north-west facing windows at Seasons and it offers a nice addition to your list of evening events for your guests. If you’re looking for wedding photography advice for the Celebration Pavilion in Vancouver and surrounding areas, shoot us an email and we’d be more than happy to help.